The public is being invited to attend the People's Choice Weekend and choose their favourite rose. They will choose from the new varieties that are currently being trialled. This is your opportunity to have a say in the newest roses being developed around the world. The National Rose Trial Garden (located in the Adelaide Botanic Garden) grows only new varieties of roses, which are not available for sale in Australia yet. These roses aren't growing anywhere else in the country, only in this Rose Garden. Some are from France, Germany and the Netherlands. 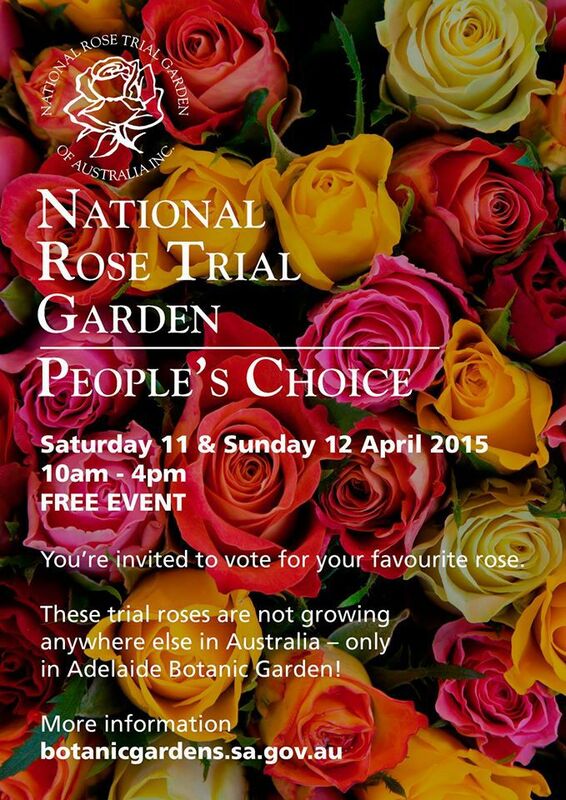 The trial garden is used to assess if the roses are suitable for growing in Australia's climate, soil and conditions. Roses are just coming into full bloom. April being a wonderful month to appreciate them. 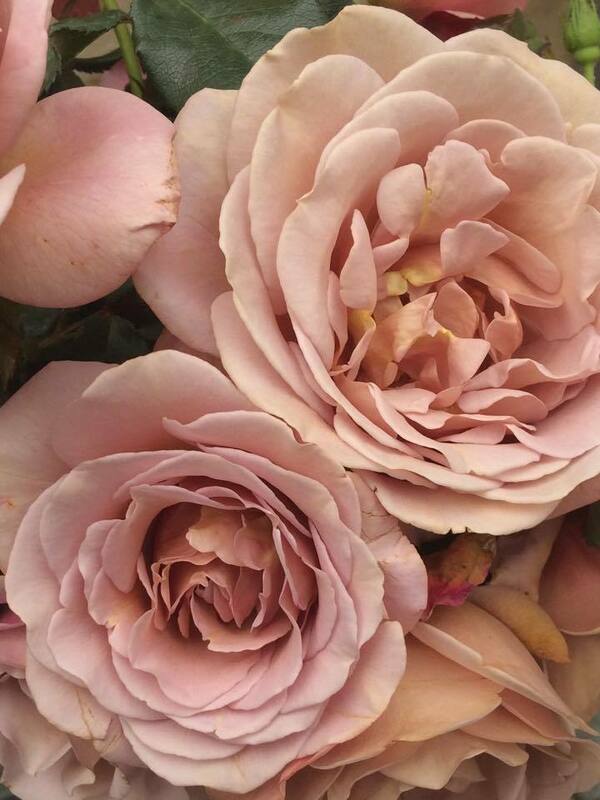 Roses are available in most garden nurseries. 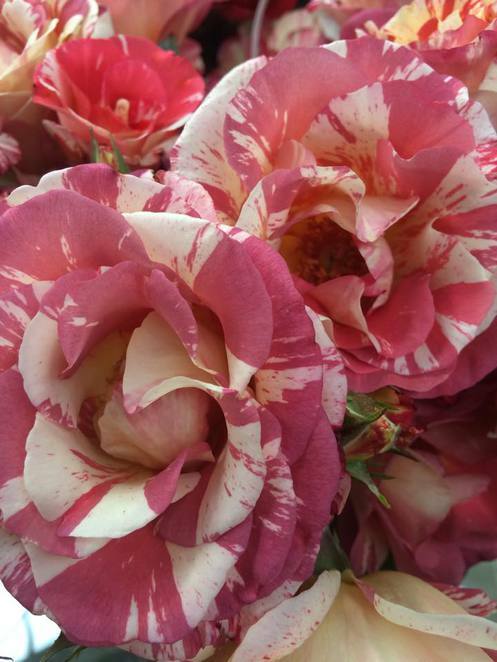 A favourite being Newman's nursery in Tea Tree Gully, or head down to Ross Roses in Willunga. Rose images are courtesy of Newman's nursery. This event will help develop and promote Australian rose breeding, and gain feedback from the general public. 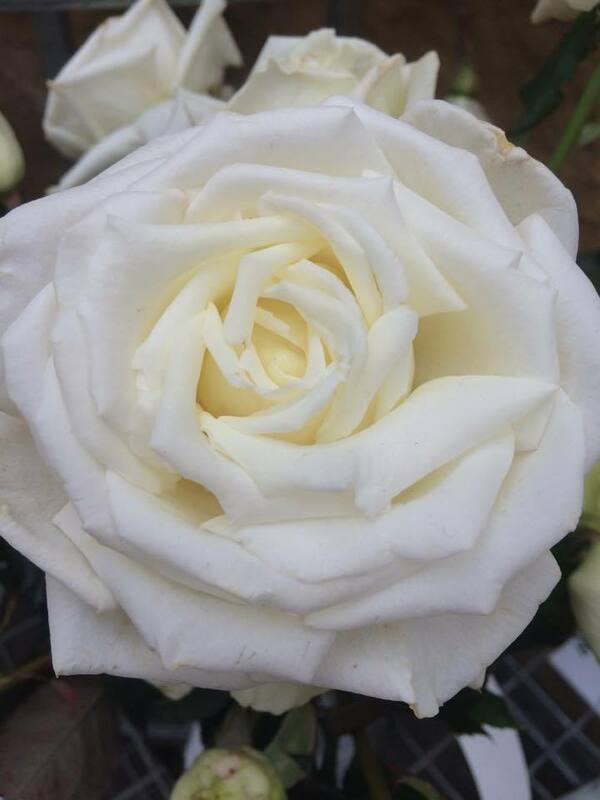 If the roses are successful, they may be put forward for commercial sale. Why not bring a picnic in the enjoy the glorious Adelaide Botanic gardens and the beautiful surrounds of the Rose Garden. On this weekend, April 11th & 12th from 10am to 4pm daily. This is a free event. More info available online.